We are open for business and are filling orders. Call or email us for personal service. Our business is for sale. We are selling our stock off. We are open to making a quantity deal for you! 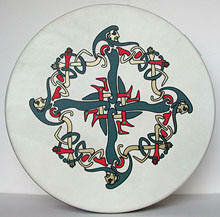 The bodhran shown at far left is the Clonmachnois design by Waltons. 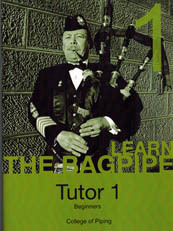 Playing manuals for Irish instruments, tunebooks, DVD instruction. See new sale price on starter sets! At left we show a complete set of uilleann pipes. Celtic crosses. 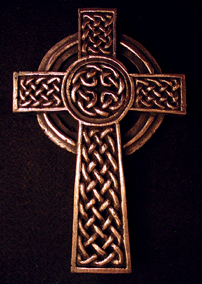 The ancient Celtic cross is a time-honored sign of Christian faith. Celtic jewelry of all kinds for the Irish, Scots and Welsh: crosses, harps, shamrocks and claddagh, thistles, dragons, penannular brooches and cloak pins, barrettes, bracelets, in ancient Celtic designs. 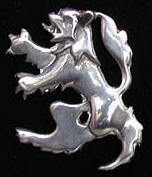 See also our selection of kiltpins. Lapel pins: Irish, Scottish, Welsh, Harp, other musical instruments. Welsh pages of gifts, crafts, souvenirs; lovespoons, music recordings, hand puppets, dolls... Also flags, dragon mousepads, toys, ties, much more... Dragon pocket watch. The lovespoon is an old Welsh custom that lives on as wedding favors and jewelry. Sale! Welsh books: language courses, mythology, history, cookbooks, Welsh genealogy, songbooks, etc, some used books. We have marked down all of our Welsh books and are selling them off. Scottish various: Traditional Scottish quaich, Scottish Lion and St. Andrews flags, more! Scottish Jewelry etc: thistle and bagpipe jewelry, traditional luckenbooth pin, Heather Gems, grouse claw pins, large shoulder brooches, Scottish buttons for vests, etc. Sgians dubh, selection of styles including horn handles and Damascus blade, made in Scotland. See our sgian dubh with a bottle opener blade. Sale! 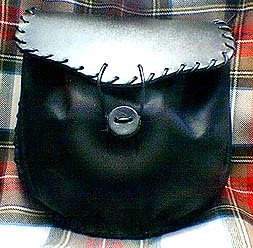 Scottish buckles, kilt style. 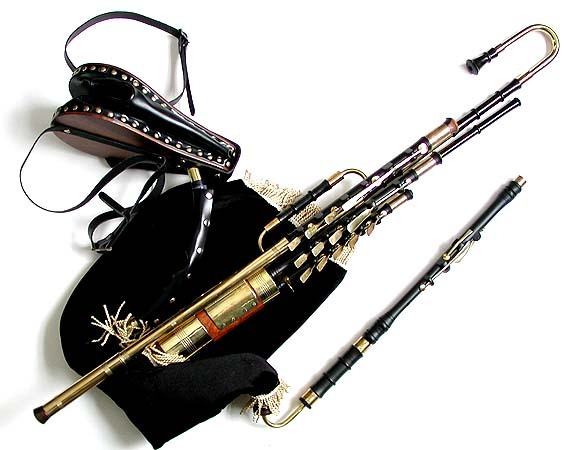 Our main bagpipes page: click here for the list of our bagpipe-related links. Welsh train pins, British doubledecker bus pins, classic/antique car pins. Sale! Celtic belt buckles, dress and kilt styles. We show one of these at left. Sale! Dragonhead bracelets sized for men and women (shown at left). See all our other Celtic bracelets, on sale. For sale: we have the harp shown at left with a beautiful angel design burned onto the soundboard. For more information, click on this link: Braunwen model harp. Harps: This link leads to our main harps page, from which there are links to our other pages of harp items. Sale! Welsh harp music and books; Irish and Scottish harp music; Sacred, Christmas, Classical Harp music . We have a page of harp music by the Welsh harpist, John Thomas. Kinnor ( patterned after a Biblical instrument). Sale! Early psaltery bows, hammered dulcimer tutor book. Sheesham (formerly called rosewood) and red cedar music stands. Very nice, affordable price, solid. Several styles including double stands. 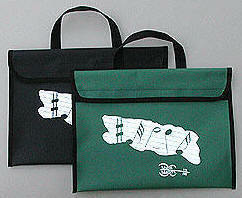 Accessory for musicians: nylon carrying case with musical motif, made in Scotland, sized for your music etc. 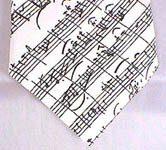 Silk Mozart manuscript ties and cummerbunds, great gifts for musicians! CD sale! Click here for harp, bagpipe, Welsh and other Celtic music. 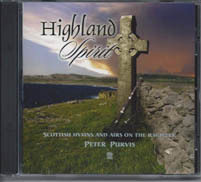 Scottish Hymns and Airs on the Bagpipes played by Peter Purvis, bagpiper from the group, Gaelic Storm. Celtic various: For all the Celts. Mini harps, cross and Celtic knot wall plaques, letter openers, and other things. See the beautiful Celtic cross plaque at left. Irish gifts and crafts. 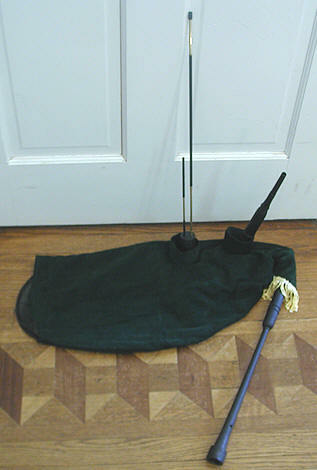 Attractive posters, mini harps, mini bodhran, Irish flags, brass doorknockers and other brass items, hand puppets, more. Celtic and musical rubber stamps for your craft projects. Sale! 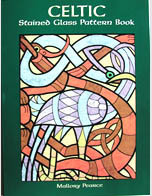 Celtic design books of stencils, iron-on Celtic designs, coloring books, etc. These are really useful for your art projects. We stock all goods (unless otherwise noted) and ship at once. We normally reply to all email messages and orders sent to us within 24 hours, at least on week days. If you do not hear from us in that time, please call us in case an email message to or from us did not get through (some get lost because of spamkillers, or for other unknown reasons). Please include your last name on all email messages to us, as we file all correspondence under last names in alphabetical order. Our email address does not appear on our web site, in an attempt to prevent spammers from getting their hands on it. We sell off our web site, but do not have a walk-in store; please call ahead if you wish to drop by. Directions to find us, information on how and where we do business. Who are the Celts? Read about these interesting peoples.